We are living sad moments right now and its needed to have fun and make laugh people. 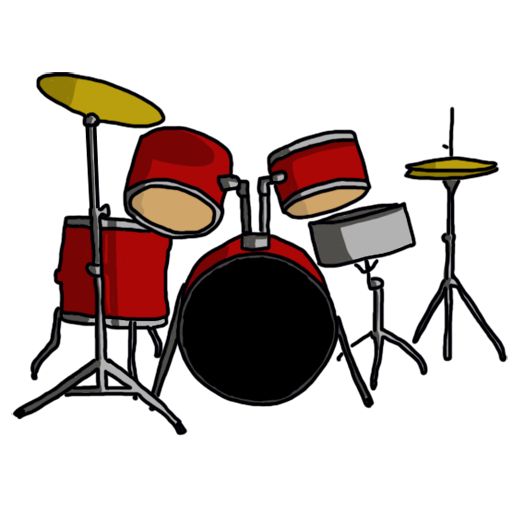 Drums is the perfect application for this because now you can carry a Drums wherever you go. Only you have to do is move your mobile phone like you were playing drums and it will sound a Drum to make you and your friends laugh. You can use it in tension moments like doing a drumroll or to Don't let alone your singer friend. In addition you can set the level of sensitivity for adjust it to your mobile phone and works perfectly.Now you no more have to make sounds with the mouth sounding like a drum because this app it will do it for you. Its TOTALLY FREE so you can enjoy it with no excuse. Show your friends the genius musician you are done having a good time together! !